Since finishing T-9 in his Open Championship title defense last July in Carnoustie, Jordan Spieth has played in nine PGA TOUR events. He’s failed to crack the top 10 in any of those starts. It’s the longest non-top-10 stretch of his stellar TOUR career. Of course, Spieth isn’t about top-10 finishes. He’s interested only in winning. From that standpoint, he’s made 34 worldwide starts without a win since his breathtaking Open victory at Royal Birkdale in 2017. 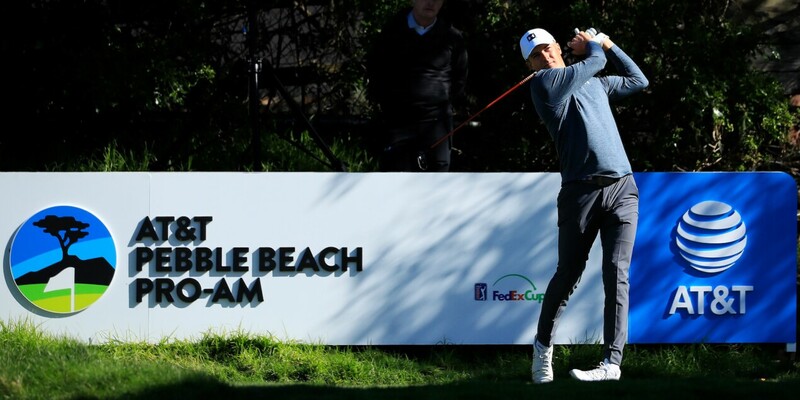 But as he prepares for this week’s AT&T Pebble Beach Pro-Am, site of one of his 11 career TOUR victories, Spieth is encouraged by the state of his game. The top-10s may be elusive, but the confidence is not. “I’m in a good place right now,” said Spieth, who once again will partner with country musician Jake Owen in the pro-am portion of the event. That twosome will play with Dustin Johnson/Wayne Gretzky for the first three rounds this week, starting at Monterey Peninsula on Thursday. And Spieth is willing to remain patient – something he didn’t always do last season as he desperately tried to avoid his first winless year as a pro. Asked if he’s hearing a lot of negative static based off of last season’s results, Spieth said no. He does, however, hear people talking about comparisons to other years – especially the 2014-15 season when he won five times, including his first two majors, and took home the FedExCup. “I’m used to that now four or five years in,” Spieth said. “But at the same time, at this point it’s how do I improve to get myself into contention this week, and then what do I do next week, and just staying very present and recognizing the longevity of a career and that your career’s not defined by a couple bad years.